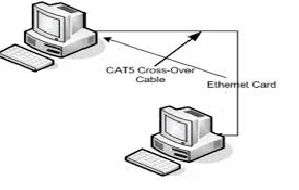 How to connect two computers in LAN using Ethernet cable – When two or more computer or laptops connected in local area then we called as they are in the LAN (Local area network). LAN can makes document sharing, file transfer easy. You can send music, video from computer to computer in no time. Connecting two computers via Ethernet in LAN make your computer to play all multiplayer games like counter strike. In this tutorial, I show you how to connect two computers in LAN using Ethernet cable and Rj45 connectors. 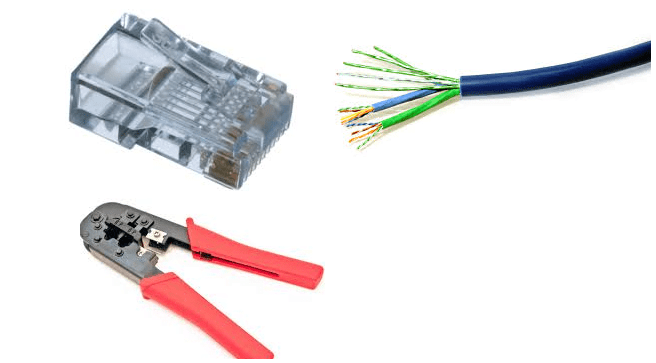 If you want to connect two laptops in LAN without wireless router then you need Ethernet cable, Rj45 connector and one crimping tool and that’s it. 3.1 Step 1- Install network driver. 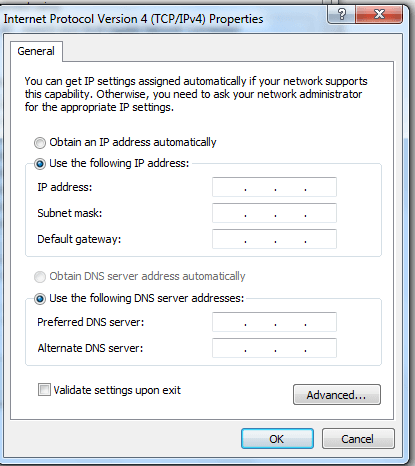 3.3 Step 2 – Assigning IP address. 3.5 Step 4 – Check whether two computers are in LAN or not. Buy Ethernet cable – CAT6 LAN RJ45 Crossover Cable . Crimping tool –Cable Crimper . Read: How to boost up internet speed. The First thing, understand difference between cat4, cat5 and cat6 cable. Depends upon Ethernet cable data transfer speed is vary, so full fill your requirement choose Ethernet cable as per your requirement. How to connect two computers together guide is started from here. Complete chart of Ethernet cable and their specification. To connect two computers in LAN rj45 computer to computer connection, you required one cross over cable. Create one cross over cable with rj45 connector. Before, going to create cross over cable understand what is difference between cross over cable and straight cable. Also, Check difference between 2g,3g and 4g. 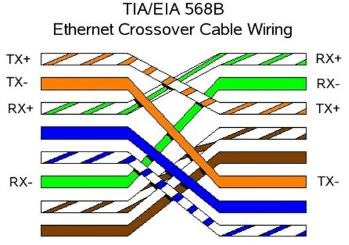 Difference between crossover and straight cable. Crossover cable and straight cable looks both same but functioning differently. Just moving 4 wire you can create crossover cable to straight cable or vice versa. When you want to connect two similar devices then crossover cable is used else straight cable is fine. Yes, Similar device not a same device. Similar device like computer – Computer or Laptop – Laptop or Router – Router or Switch – Switch or Router – Computer (Both are layer 3 devices). This video by Tek Syndicate is solve how to connect two computers using rj45. Before going to networking two computers understand physical steps to create LAN cable using RJ45 connectors. To remember color coding check straight cable color code. All wires are straight that means, 1-1, 2-2 and so on. But, in cross over 1-3, 2-6, 3-1, 6-2 and remaining are straight. Once you create crossover LAN cable then following steps are required to connect two computers in LAN. Complete procedures for connecting two computers is made up off 5 steps. Connect two computers or two laptop using crossover cable. Assign IP address for both computers. Check connection using Ping command. Step 1- Install network driver. Check whether network driver is properly installed or not. If, network driver is installed then you will get computer symbol in right corner of your computer. If you don’t have computer symbol then follow below guide. If yellow symbol or Red Cross in network adopter then install network driver. Once network driver is installed yellow symbol is disappear and computer sign is displayed in bottom right of your computer. Follow this step for both of your computer. Connect two system using LAN cable (crossover LAN cable). It is very simple step, just insert rj45 connector into both of your computer’s Ethernet port. If you want to connect two laptop in LAN or Laptop and Computer then use same things. 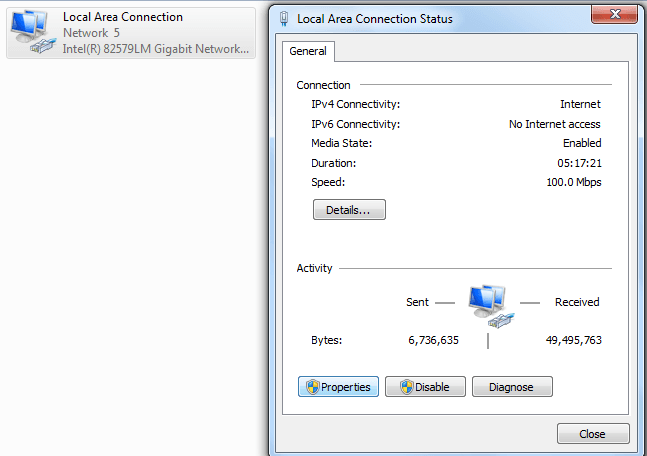 Step 2 – Assigning IP address. After connection two computer using LAN cable cross symbol is disappear bottom right of your computer and it shows yellow symbol that means you are one step away from connect two computers in LAN. Most important thing is to assign IP address to your both computers. Mostly people made mistake while setup an IP address. Follow this same process in your system to assign IP address in windows 7. 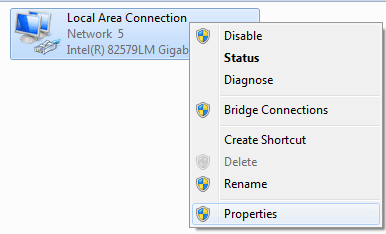 Right click “Local Area Connection” and go to properties. Or double click on “Local Area Connection” and click on properties. Enter 192.168.1.1 in IP address column in first computer. 255.255.255.0 In subnet mask section. Enter 192.168.1.2 in IP address column in second computer. Note: Make sure both IP in same subnet. Sometimes Firewall may create issue if you connect two computer in LAN using Ethernet cable. So disable your firewall and antivirus software. Read : How to make my computer faster. Step 4 – Check whether two computers are in LAN or not. Ping is command to check network connectivity. Open your command prompt, and one computer from another computer. If you properly connect two computer in LAN then you will get following result. OK that’s it. Now, you’re both system in LAN. This tutorial shows you how to connect two computers in LAN with help of Ethernet cable and rj 45 connectors. This will applicable to connect two laptop via LAN by cable. Next tutorial I will show you how to connect laptop to laptop using Wi-Fi router and how to share data if two computers in LAN.